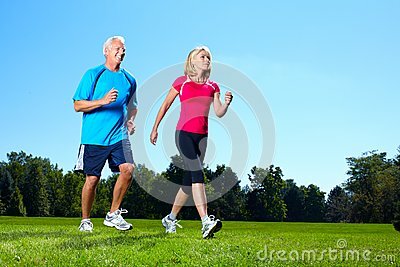 (RxWiki News) Many past studies have shown that physical activity provides health benefits, but exactly how much physical activity provides the most benefit? Results from a new study, designed to find what level of physical activity most reduced the risks of five chronic diseases, suggest that the optimal amount may be more than current minimum recommendations from the World Health Organization. A team of researchers from the United States and Australia collectively analyzed data from 174 past studies to find links between physical activity levels and disease risk. The five diseases researchers looked at were breast cancer, colon cancer, diabetes, ischemic heart disease and ischemic stroke. According to this study, most health gains were found at levels around five to six times the current recommended minimum of 600 MET (metabolic equivalent of task) minutes a week, with additional benefits decreasing at higher activity levels. Current recommendations of at least 600 MET minutes per week equate to 150 minutes of moderate-intensity physical activity or 75 minutes of vigorous physical activity weekly. In other words, patients getting five to six times more than the currently recommended minimum amount of weekly exercise were less likely than patients getting less exercise to develop breast cancer, colon cancer, diabetes, heart disease or stroke. The researchers also noted additional studies are warranted to determine the benefits associated with the different levels of physical activity. Talk to your doctor before making major changes to your physical activity levels. This study was published in The BMJ and was funded by the Bill and Melinda Gates Foundation. The authors did not disclose any conflicts of interest at the time of publication.